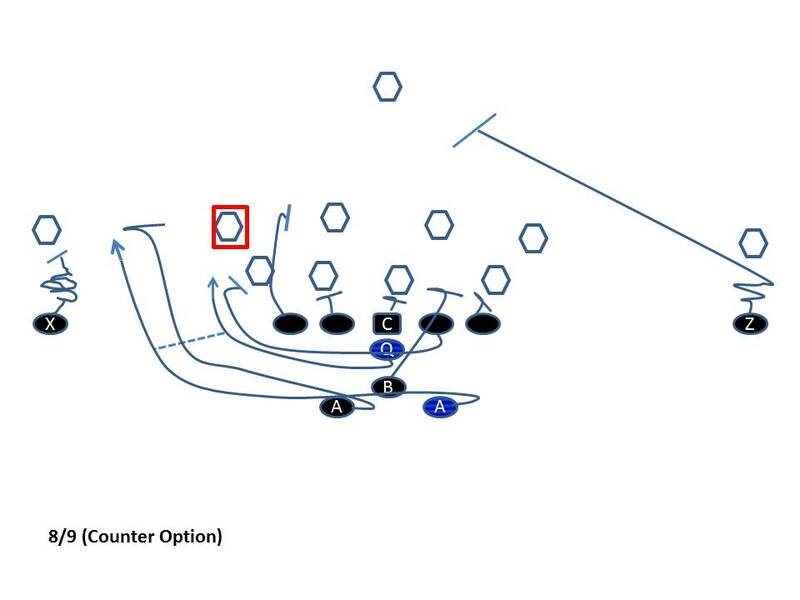 The counter-option play is a great way to counteract a defense when they start to fast flow their backside linebackers towards the point of attack in an effort to thwart our bread and butter play: Triple Option. It is their hope that they will outnumber the offense to the play side. Once a defense starts to fast flow their backside linebackers, it is time to make them pay by using this great counter-option play (shown below). It starts out looking exactly like Triple. The Backers start to flow to the perceived play side….then, it is time for the surprise!